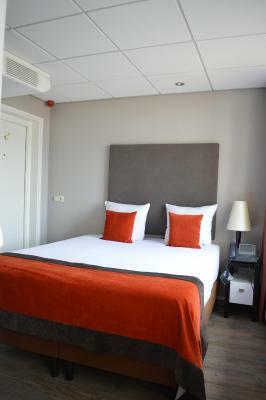 Lock in a great price for Park Hotel Den Haag – rated 8.6 by recent guests! Nothing...very bad attitude from staff on reception.. Very comfortable and stylish hotel in a very good location. Breakfast was great, our room was big. The shower was nice. The building was beautiful and on a great location. Gorgeous lobby, very clean room and welcoming staff. I called the reception before my arrival that if I can check in early cause I was feeling very sick and they said they cannot guarantee anything but when I arrived, this person at the reception knew what’s happening, and let me check-in at the hotel an hour early. Also I had an inquiry before this trip and they gave a prompt reply and felt that was awesome. So I already knew this hotel would be a top notch! Room was very large, and the bathroom was recently renovated with a large walk in shower. I liked the smell of the shower gel. 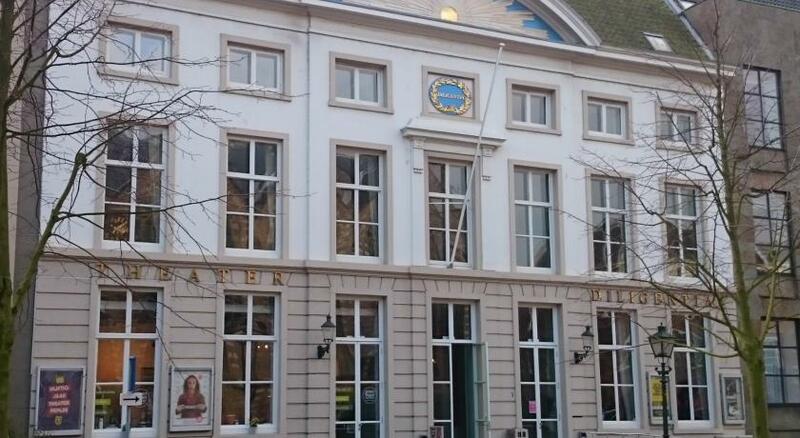 Location is excellent, very close to Noordeinde and great for shopping and dining. Great location, good value for money, helpful staff. Great location, bar was very nice and compared to price for breakfast, not bad value for money. Park Hotel Den Haag This rating is a reflection of how the property compares to the industry standard when it comes to price, facilities and services available. It's based on a self-evaluation by the property. Use this rating to help choose your stay! One of our top picks in The Hague.The Park Hotel Den Haag is located in the very heart of the city, bordering the gardens of the Royal Palace Noordeinde. Enjoy this 4-star hotel with its exclusive Art Deco atmosphere and tastefully decorated rooms. Free WiFi is available throughout the hotel. The hotel rooms are comfortable and nicely decorated in a unique style. 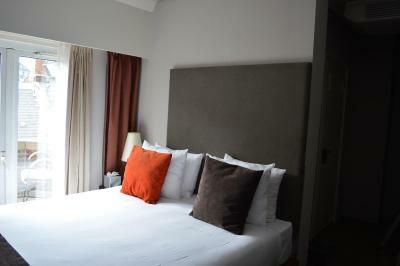 Take your time for a good night's sleep in this oasis of peace, right in the heart of the city. Express check-out is available. Furthermore, the Park Hotel offers a beautiful garden in which you can unwind by reading a book or getting a tan. The Bar & Lounge at Park Hotel Den Haag offers pleasant surroundings for guests to relax at the end of the day. You can enjoy a drink and a snack here. The bar serves cocktails and there is a large selection of whiskeys, liqueurs and cognac available. An warm and cold breakfast buffet is offered to guests daily. The room service menu changes frequently according to the season, with a number of dishes from around the world. From the Park Hotel Den Haag, the lively city lies at your feet with haute-couture, antiques, culture and numerous fine restaurants in the direct vicinity. The friendly staff will do its best to make you feel as comfortable as possible. Park Hotel Den Haag is just 15 minutes by tram to Scheveningen beach or rent a bike at the property. 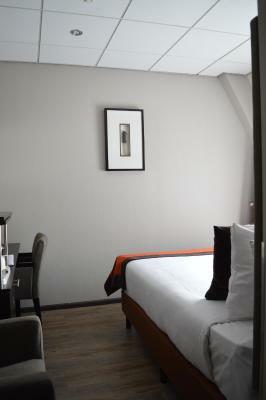 When would you like to stay at Park Hotel Den Haag? 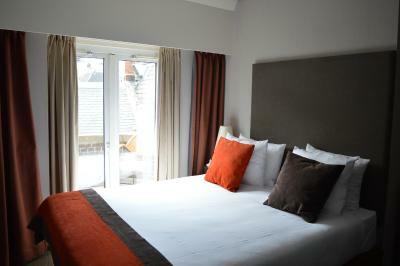 Compact rooms including a flat-screen TV, free Wi-Fi and private bathroom facilities. An Art-Deco style room, some with a spacious, private balcony. This Art-Deco style room has a sitting area and a modern bathroom with separate bathtub tub. Some of the rooms have a large balcony. This Junior Suite offers direct garden access. We are in the middle of the city center, in the trendy ''Hofkwartier'', with its best shops, concept stores and finest restaurants. Enjoy our free wifi, complimentary coffee and tea and relax in the cosy lounge. House Rules Park Hotel Den Haag takes special requests – add in the next step! Park Hotel Den Haag accepts these cards and reserves the right to temporarily hold an amount prior to arrival. 3 days prior to arrival Park Hotel Den Haag takes an authorization on the credit card used during booking. Upon arrival, Park Hotel Den Haag requires an imprint of a valid credit card; the hotel will pre-authorize a deposit of € 50.00 per room per night to cover any charges made during your stay. Guests without a credit card will be asked to present a valid ID such as passport on check-in, and to pay accommodations charges in full plus a cash deposit of € 50.00 per room per night to cover extras. Cash deposits will be refunded on check-out, minus any charges. Parkhotel Den Haag has an indoor parking with a limited number of spaces. Reservation for it needs to be made in advance. Without confirmation for the garage, there is no space available. To access this garage, guests need to enter The Molenstraat, the barriers will lower automatically. The garage is available from 15:00 on your arrival date until 12:00 on your departure date. Please note that guests are required to contact the hotel directly prior to arrival, in order to make a reservation for a parking space. Please note that cars driving with liquid petrol gas are not allowed. They did not give us a nice room initially as I am booked on booking Dan.com but as soon as we explained to the receptionist the process that we booked our hotel room and the fact that it was noted to be a room with a Gardenview she went beyond herself to help us out and give us a nice room. The single room was small - understood for the price but still rather cramped. And a narrow single bed. Singles who want more comfort would need to book a double room. One reception staff was not very good at public relations - not welcoming or specially helpful. Wifi was often difficult to log into. The shower in the bath is mounted a little low , so tall people dont entirely fit underneath the shower. Other then that all was very fine. Lovely hotel in a classic building in the middel of the centre of The Hague. Comfortable rooms and bed and from the breakfast / restaurant room a very nice view on the palace gardens. Breakfast is good with a variety of choices and wifi works very well. The bar serves lovely drinks and the hotel has their own (small) private parking garage. Very pleasant stay. Nice breakfast. Friendly staff. Great location, a 15-minute walk from the Central Station. Wonderful all-you-can-eat breakfast, friendly staff. Clean rooms. There is nothing to complain about, I would definitely recommend it! I was charged for the room 2 weeks prior, and only had to pay the city tax upon check-out. It will be good to make renovation in bathroom (as for the 1-guest room I booked). Just for the bath itself :) Other was more than comfortable, and considering the price - twice more. Brilliant hotel location just in the center of the city, but not on the tourist noisy routes. Well-served and well-done breakfast, you have to enjoy it. Really better than some not included in accommodation variants in other hotels. Cozy lobby and pleasant atmosphere in hotel. The price/quality is really worse to consider travelling to Hague. Original Booking did not allow an explicit choice between a queen/double vs. two single beds. I had to email back and forth several times to confirm whether we would have a queen/double. Ultimately got what we needed, but process should not have required emailing. There is small details missing? information in the room, how to switch TV.set and to turun jestine? rest are perdeci. The room was a bit outdated. There was no sound proofing. The plumbing was really loud.